It was the weekend and we were all ready for an easy morning and some down time. Although young boys and the latter isn’t a likely combination, it’s still a welcome change of pace from the hustle bustle of getting ready for school and work. And so out came the masking tape yet again. It seems to be a hit these days. Don’t worry, he broke through in 2 sec. 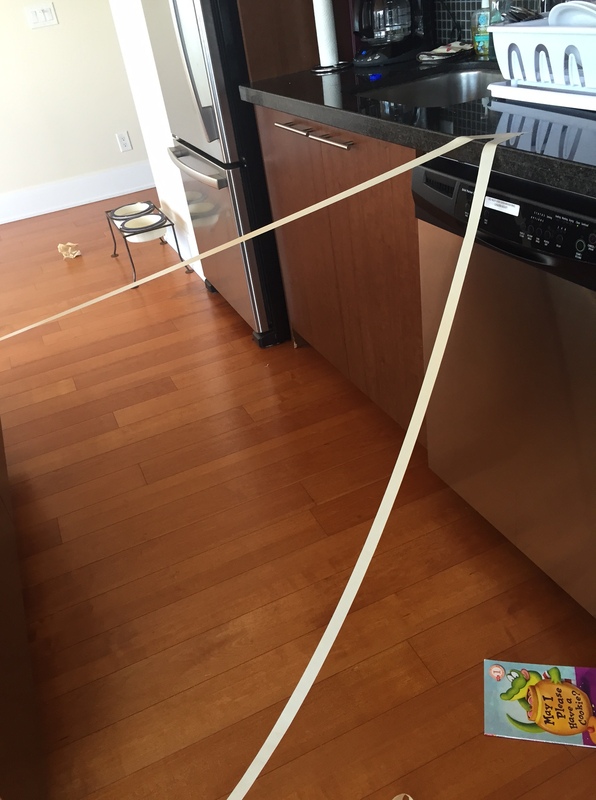 The boys made masking tape barriers across the condo for me to leap over or limbo under. The environment continues to bring out the creativity in them. They seem less consumed with wifi and devices and dare I say it…they even fight less. They engage more in what we like to call “old school” games. Here is one of our old time favorites – hot and cold. 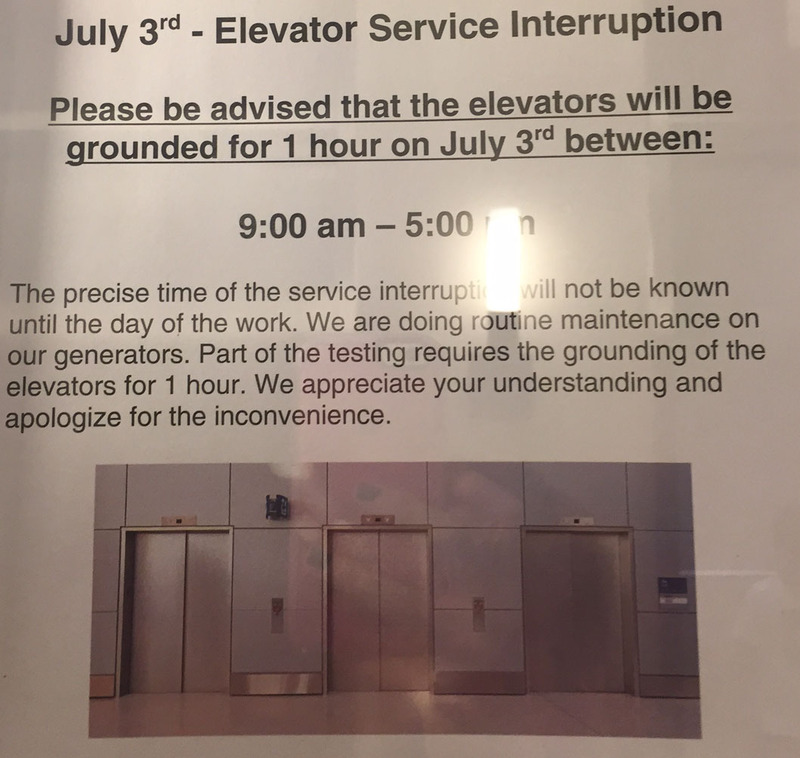 On the way out for a walk this morning, we noticed another sign regarding the elevators, despite everything appearing to be functioning properly. Sadly, we’ll be gone by then. I’m starting to do the math and realize that we’ve got less time remaining than what we’ve spent here. Again, while it may seem like a disruption, it’s fairly minor. And it’s critical. I’ve seen first hand now, just how essential the healthy functioning of the elevators are to the well being of a vertical community. Keep in mind that elevators transport more people with a safety record that surpasses any other means of transportation. Think of their use… day in and day out. Did you know that the annual journeys of the elevators in the Eiffel tower are equal to two and half times around the world (or more than 103,000 kilometers). We visited the concierge before we headed out the lobby door. 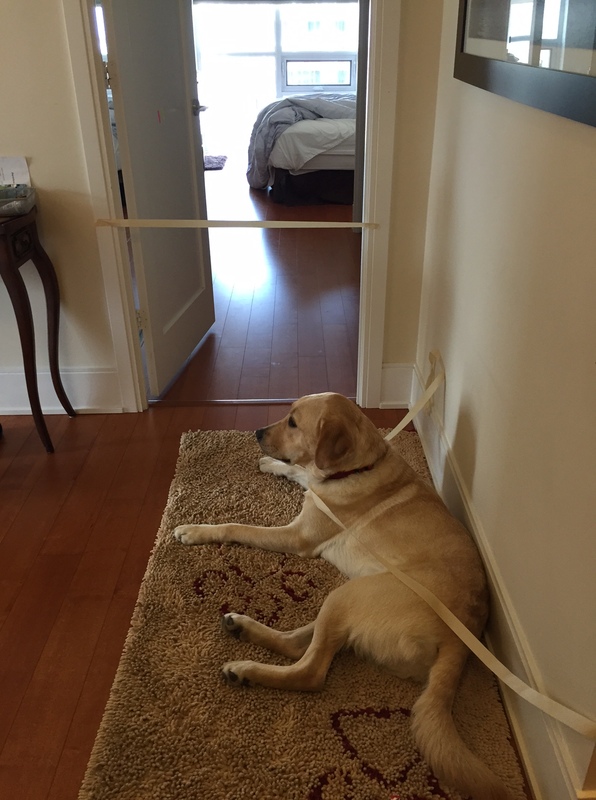 We thought we’d try to rent the movie room amenity in the condominium tonight. We assumed it would likely be booked due to short notice and our spontaneity. Unfortunately, much to the boy’s (and my own) disappointment, the concierge advised us that it’s been under renovation for two weeks. He believes that this may still be the situation but wasn’t 100% certain. He escorted us over to take a peak inside and see if it was completed. As we opened the door we saw what appeared to be carpet cleaning equipment on the floor. Fortunately, there’s a Cineplex movie theater we can see from our window. We decided we’d go there tonight instead, since it’s just steps away (and has a better snack selection than my own). The truth is however, we never made it to the movie. We had so much fun at the before show activities (i.e. walking to and enjoying a nearby brazilian steakhouse dinner that a friend recommended) that we missed the earlier showtime. and tonight once again, on our walk to dinner. 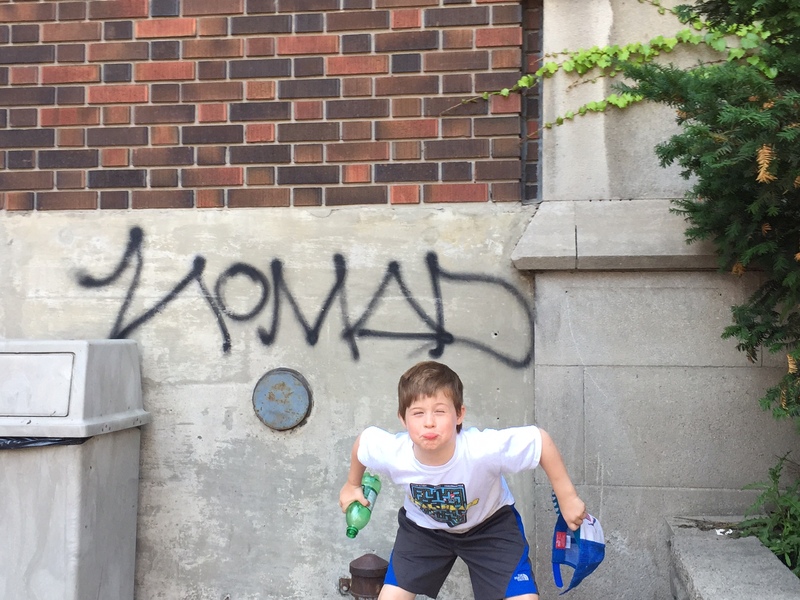 The little one just loves the pure fact that the word “mad” is part of it. He’s recently obsessed with spelling. Which reminds me, we haven’t been able to turn off the closed caption feature on the TV in our suite. While annoying to the rest of the family, we think it’s turned out to be a real advantage to him and his learning since he’s enjoying reading what he hears. After tonight’s dinner, the boys are all clearly carnivores, and are in agreement that the brazilian steakhouse is AMAZING. 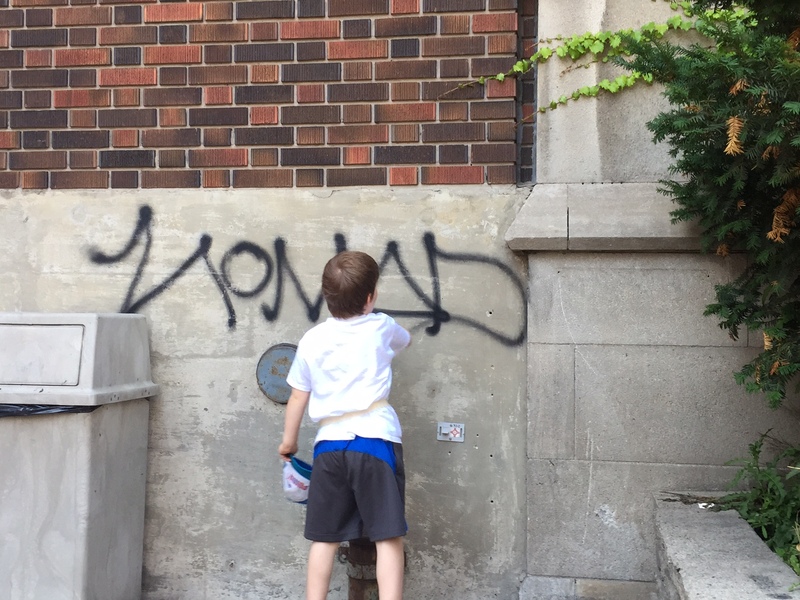 I’m learning that being in a new neighborhood, in a new setting, can also encourage you to try new things. (Things that your mother would likely not let you try at home). Part of the problem with monotony and routine, is that you almost get stuck in a rut. Once you get out there however, there’s a whole new world for you to explore. Even if it’s in the form of a fried banana. Next Post Day 19. It takes a village. Previous Post Day 21. The Final countdown. 10 days to go.